Metro Pet Market, through their Spay It Forward initiative, has sponsored Onyx's spay, as part of their ongoing mission to foster responsible pet ownership. For more information on Metro Pet Market, visit metropetmarket.ca or find them on Facebook. Onyx and her litter-mates were found tiny and motherless – too young to be without a mother cat, and in urgent need of supportive care. An experienced bottle feeder cared for them until they could eat on their own, and then they were sent to other foster homes until they were ready for adoption. All of the kittens are healthy, happy and ready for homes of their own. 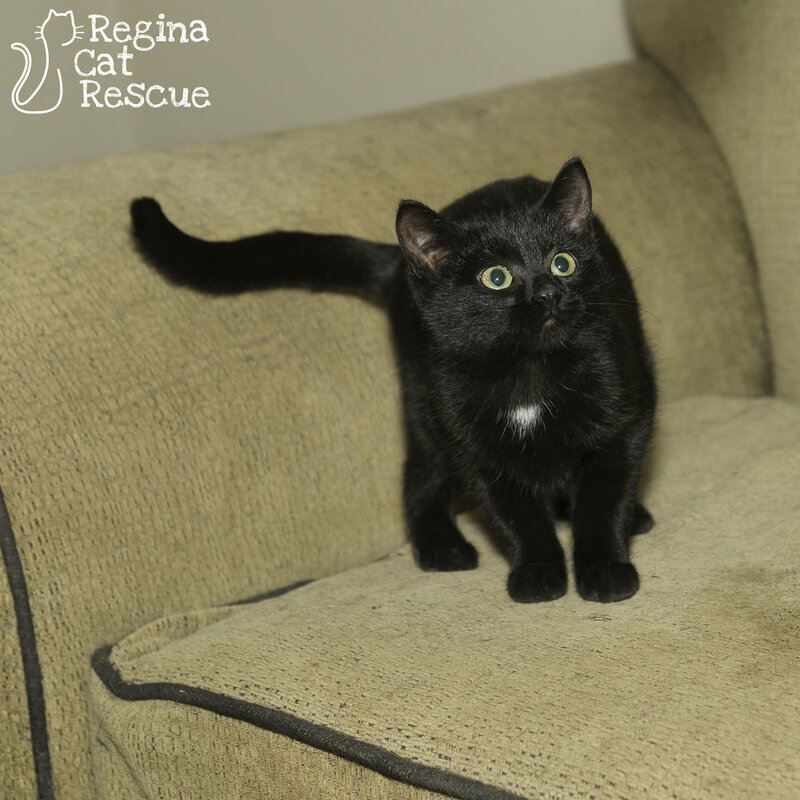 Onyx is an outgoing and playful young kitten who has been well socialized with other cats and a large dog. She has an adorable little round face and big yellow eyes that compel you to pick her up and snuggle her, while her sleek black coat, with just the tiniest patch of white, means she goes with every outfit and every decor! Onyx is a sweet and good-natured kitten who would do well with a young family or a home with other pets, but ultimately, she just wants to love and be loved. If you are interested in Onyx, click here to view our adoption contract and click here to complete an adoption application or email the RCR Adoption Coordinator at rcradoptions@gmail.com for more info.